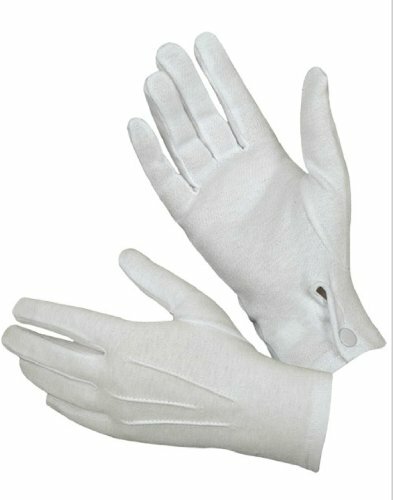 Luxurious White Rabbit costume for men. This costume features a red velvet jacket with pocket watch applique, black-and-white checkered cuffs and black and gold clock-printed vest with attached faux-fur dickey and black satin bow tie. It includes a matching top hat with rabbit ears and a fake pocket watch with chain fob. Pants and gloves are not included. Always late, but worth the wait! 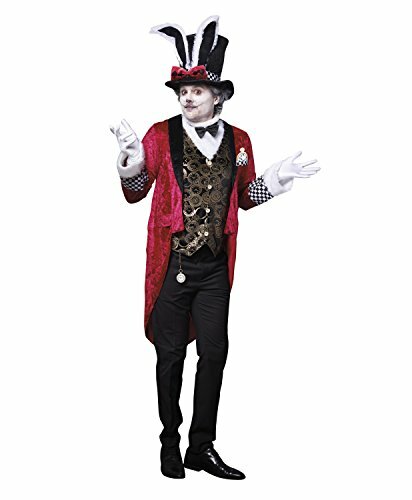 this men’s white rabbit costume features a red velvet jacket with pocket watch applique, black-and-white checkered cuffs and black and gold clock-printed vest with attached faux-fur dickey and black satin bow tie. Includes matching top hat with rabbit ears and fake pocket watch with chain fob. (Pants and gloves not included.) (four-piece set) pair with Dreamgirl alice dress to take this couple’s costume beyond wonderland.